Lundberg® organic short grain brown rice, gas fire roasted and rolled into delicate flakes. Perfect for quick breakfast porridge. Cooks in just minutes. 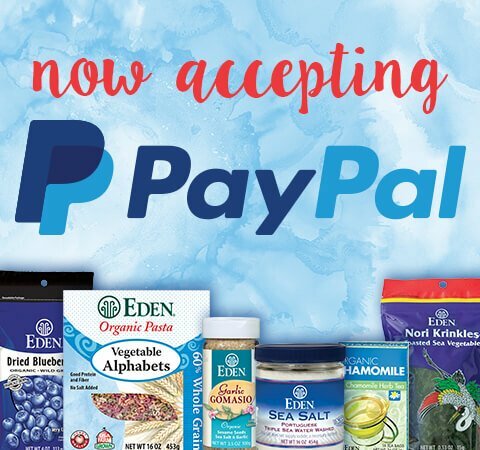 Use it for creamy soups and stews, granola and muesli, in baked goods and confections. 100% whole grain goodness for the very young to the very old, and everyone in between. A good source of niacin B3 and magnesium. Packed in a reclosable, protective, standing pouch. Eden Organic Brown Rice Flakes are Lundberg family, California organic short grain brown rice. There is no better brown rice. Very fast and easy brown rice for a first solid food, for the very old, and for everyone in between. 100% whole grain. Eden Organic Brown Rice Flakes are roasted and rolled in Nebraska. Whole grain brown rice is sprayed with filtered deep well water and gas flame roasted in a ceramic kiln. Immediately after roasting the grain is rolled into flakes. Flakes are packaged at Eden's AIB 'Superior' rated facility in one pound nitrogen flushed, reclosable, standing pouches. Cultivated in Asia since 7,500 BC, rice Oryza sativa is a staple for six out of every ten people in the world. In healthy diets rice builds energy, nourishes the blood, promotes good digestion, quenches thirst, relieves depression, and more. Brown rice is highest of all grains in B vitamins. 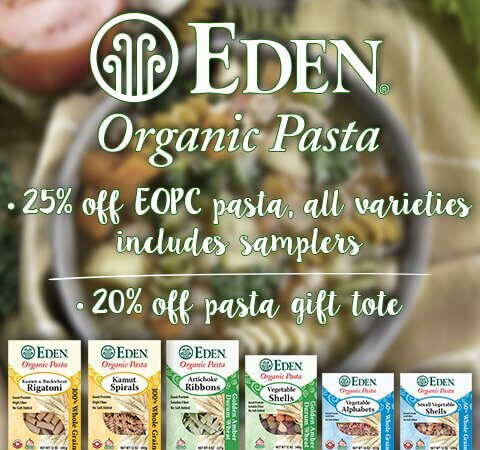 Though rice is naturally wheat and gluten free, Eden Organic Brown Rice Flakes are not a wheat free or gluten free food as they are roasted and rolled on equipment that also prepares kamut and spelt wheat flakes. Scientists at the USDA Human Nutrition Research Center at Tufts University say, "Whole grain helps regulate blood sugar by slowing down the conversion of complex carbohydrates into sugar. In fact, low-glycemic index food such as whole grain reduces hunger and can help to control weight." Scientists at the Agriculture Research Service completed a study of more than 2,000 people concluding, "at least three or more servings of whole grain everyday could reduce the chances of developing metabolic syndrome - a condition marked by a combination of abdominal obesity, high blood pressure, poor blood sugar control, low HDL 'good' cholesterol and high blood fats." According to FDA, "Diets rich in whole grain and other plant foods and low in total fat, saturated fat, and cholesterol may reduce the risk of heart disease and some cancers." Eden Organic Brown Rice Flakes are a good source of niacin B3 and magnesium, and an excellent source of manganese. 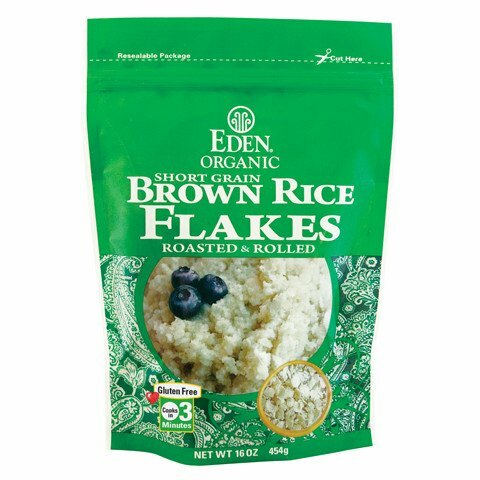 Eden Organic Brown Rice Flakes are perfect for quick hot cereal, ready in just minutes. Use them for creamy soups and stews, granola and muesli, in baked goods and confections. 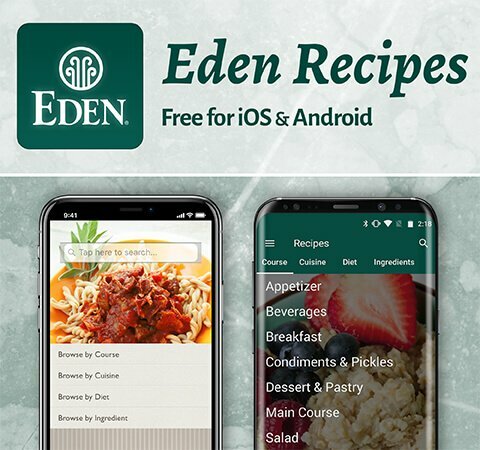 Check out "Cream of Broccoli Soup" in the recipe section for a great dish using Eden Organic Brown Rice Flakes.